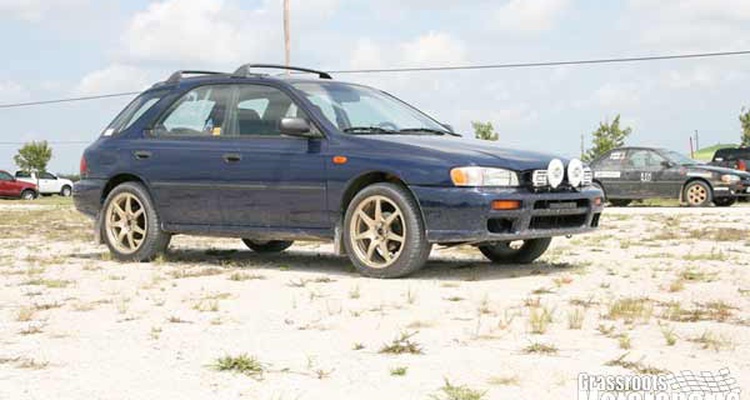 A 2.2-liter Impreza wagon that we'll be building up for some rallycross and road-rally fun. 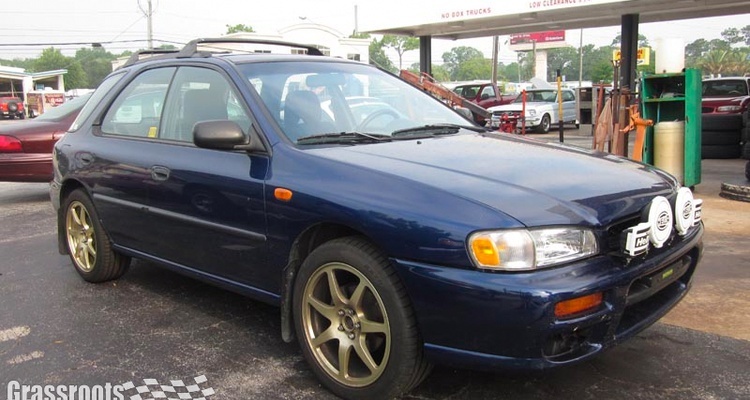 Our Impreza wagon has found a new home. Our rallycross Impreza is up for sale. 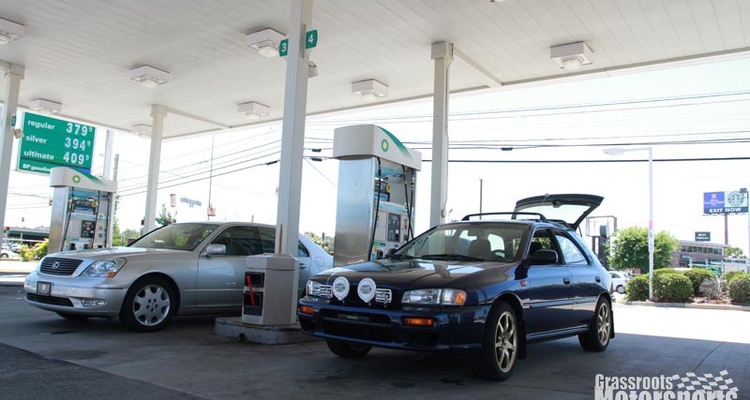 Our Subaru Impreza takes the back way home from the Mitty. Lately our Subaru Impreza has been helping with chores. Come play in the dirt with us January 14. 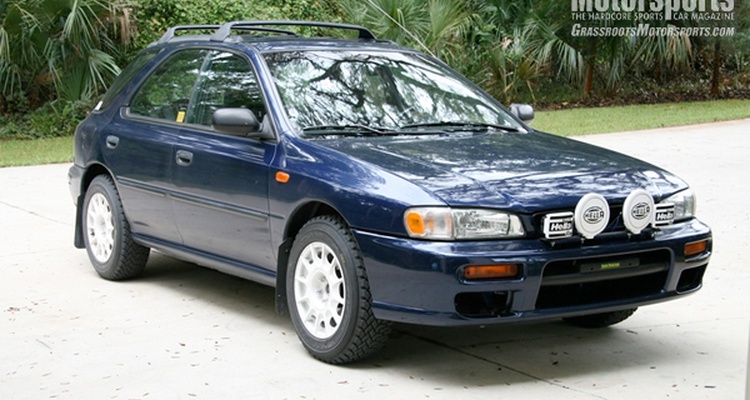 Soon our Impreza will return to the dirt. 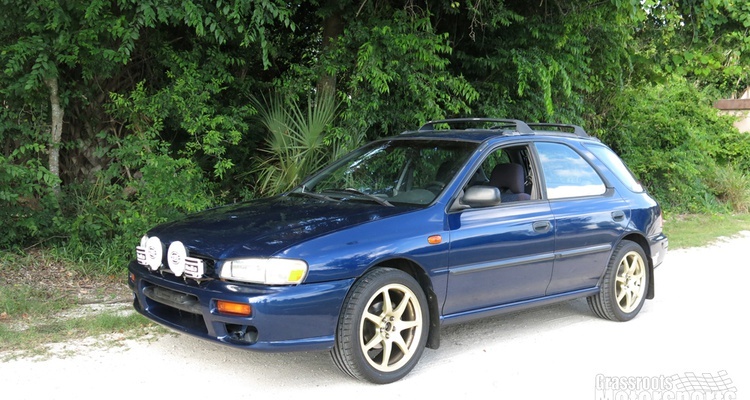 Our Impreza is finally fixed. Waiting on parts is tough. 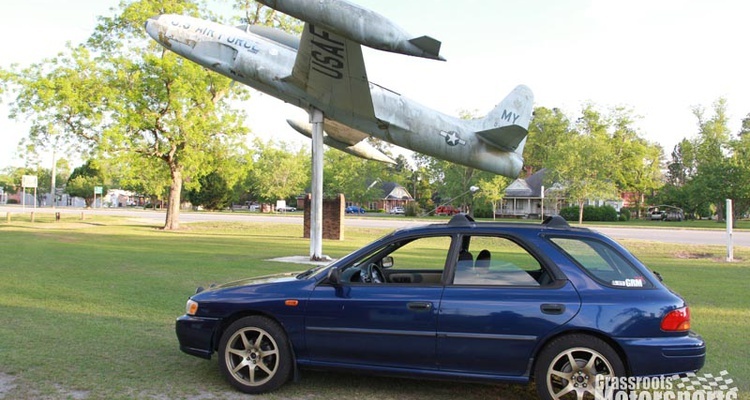 Our Impreza runs better, but it's still out of service. Our Subaru now has a miss, and not the good kind. 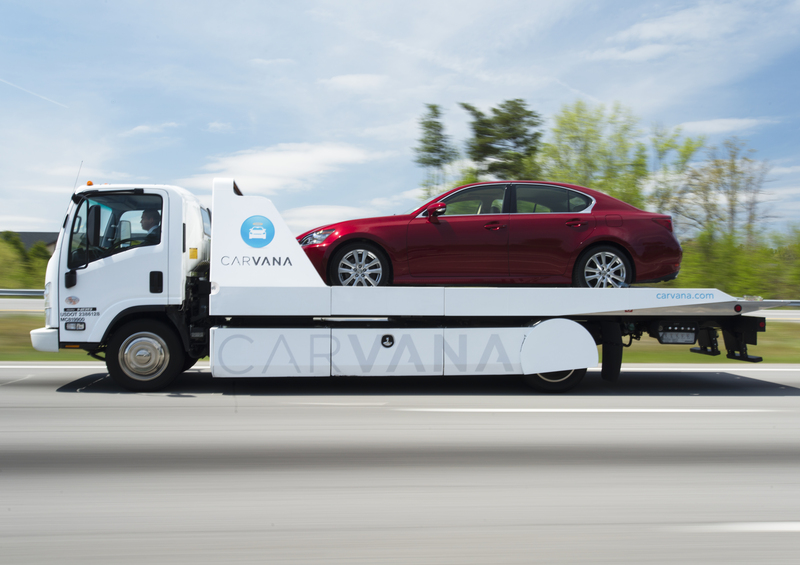 Our Subaru easily handled an up-and-back to The Mitty. 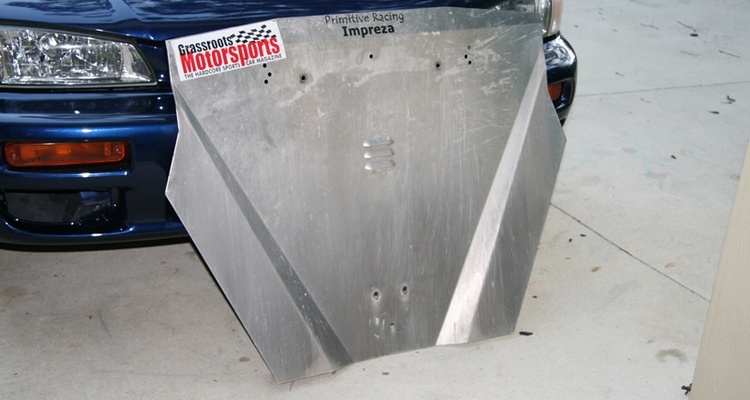 We match our front skidplate with a new rear unit from Primitive Engineering. 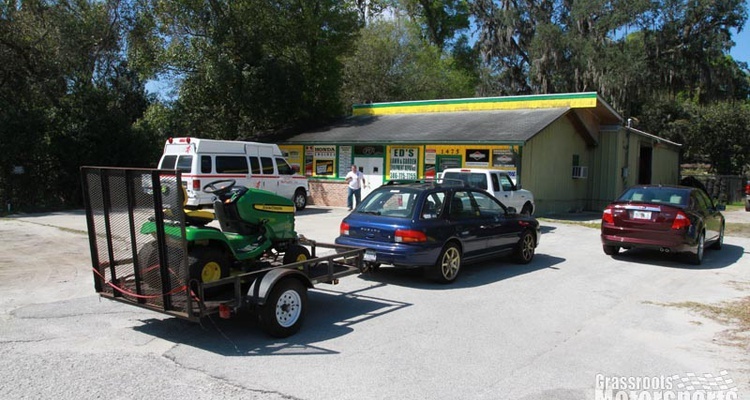 Our Subaru gets a real boost in traction. Our Impreza wagon's first rallycross goes well. 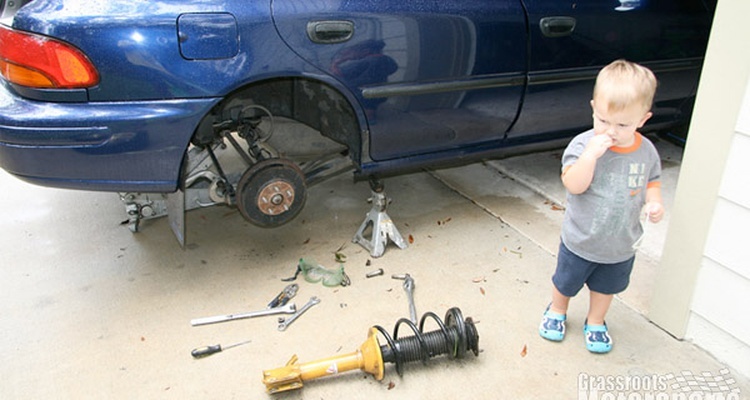 Our Subie receives a new rear anti-roll bar, end links and wheel-and-tire package. We get a good deal on some used Konis. 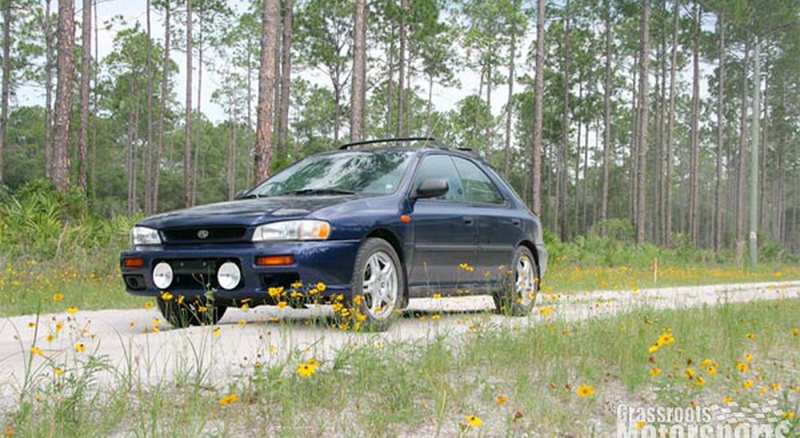 Will they help our Impreza or hurt it in the rough stuff? 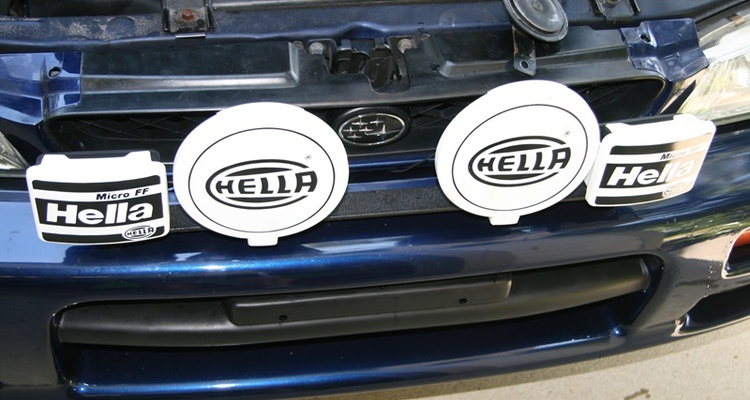 We add a quartet of Hella lights to the nose of our Subaru. 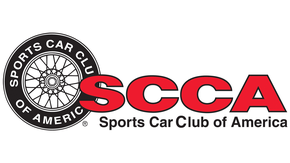 We begin prepping our Subaru for rallycross use. 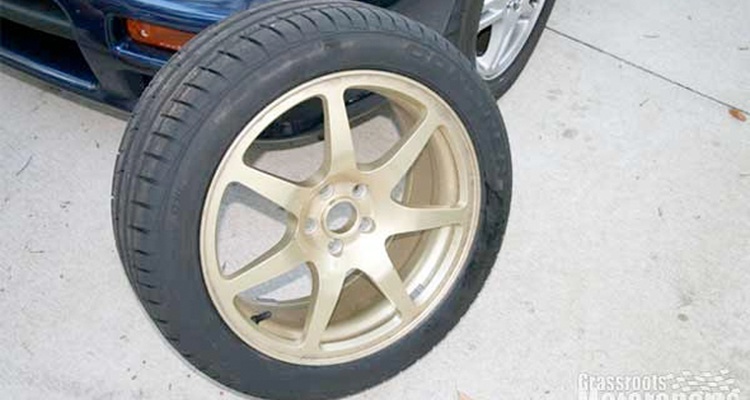 First step: Add some underbody protection. 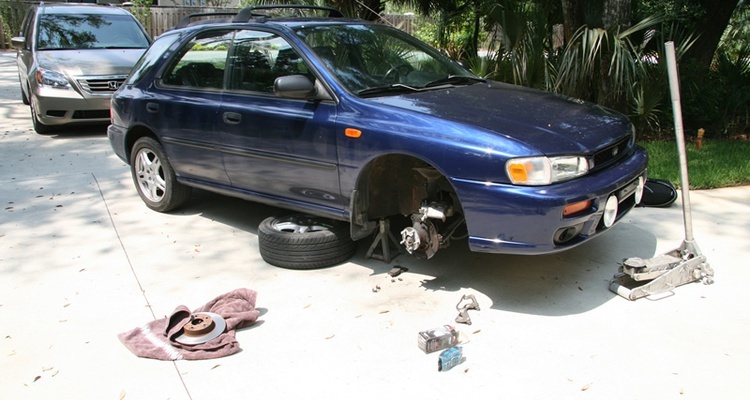 We fix a pulsating brake pedal on our Impreza by turning the rotors and adding some PBR Ultimate ceramic pads. We just purchased a 2000 Subaru Impreza L wagon. Let's get it ready for some rallycross fun. 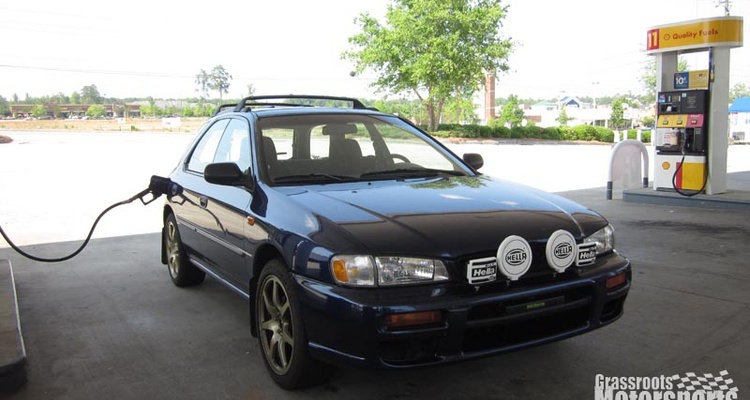 Join Free Join our community to easily find more Subaru project cars.